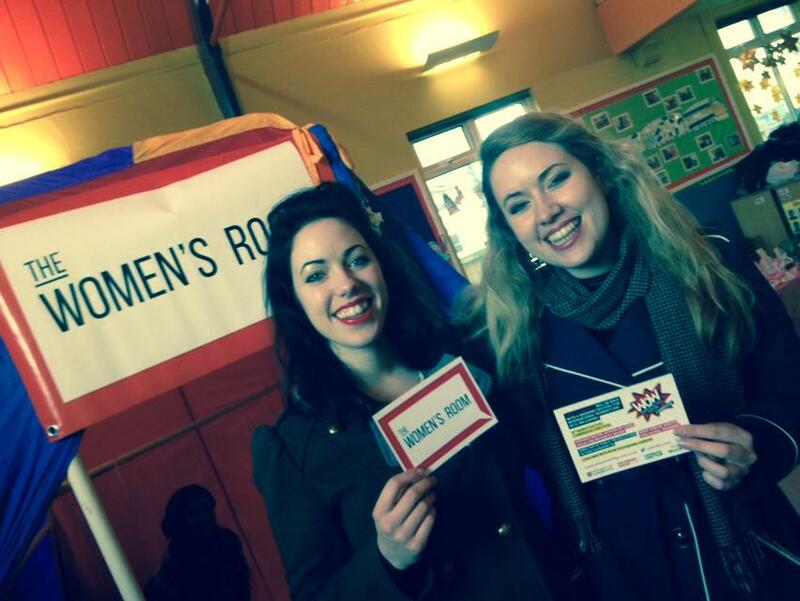 Female Voices is at heart an intergenerational celebration of women. Packed with a lively programme of female artists, including some of of the UK’s leading feminist artists, Hollie Mcnish, Bryony Kimmings and Phoebe Davies, it aims to make feminism and contemporary art accessible to those that may normally miss it. Our Women Of Influence Girls Group at charity Romsey Mill interviewed Mayor of Cambridge Gerri Bird, plus broadcasters, poets, entrepreneurs and bloggers, published in a book that was launched at Waterstones Cambridge in March. Illustrators Aurora Cacciapuoti and Louisa Taylor, plus photographer My Linh Le created portraits for the participating women. 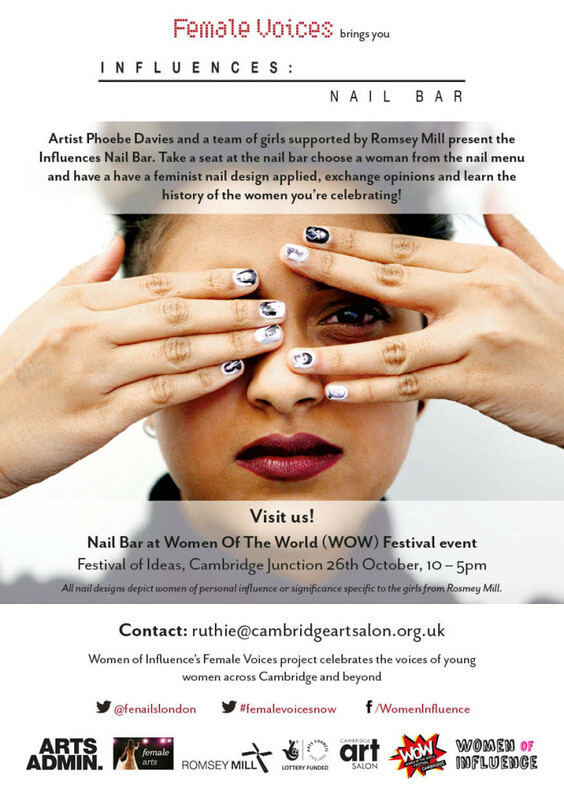 Artist Phoebe Davies also worked with the girls to help them select a range of inspirational women for feminist nail wraps to bring to Cambridge WOW, at Cambridge Junction, last October – mentioned on Radio 4’s Women’s Hour here – http://t.co/SLC8lUa6rT. 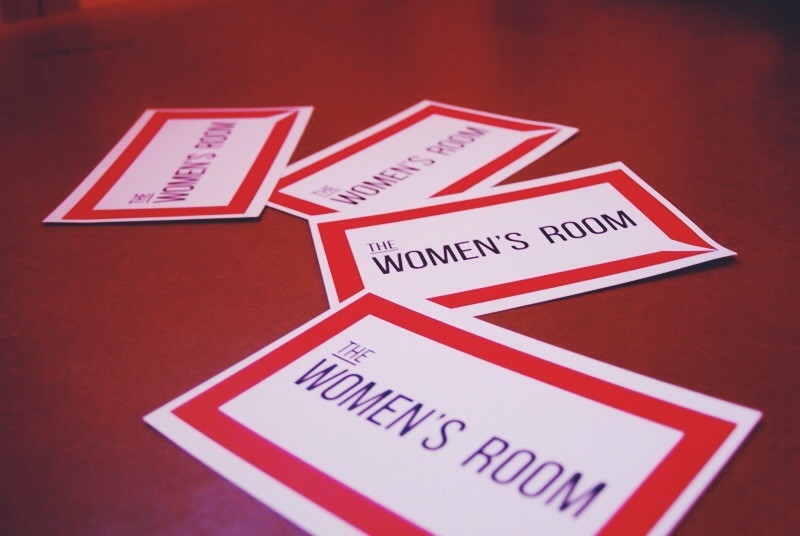 Cambridge Art Salon commissioned artist Sa’adiah Khan to create a portable space and installation The Women’s Room, that asked girls and women across Cambridge to name challenges impacting them today. Artists Sensibly Insane and Rebecca Scambler created feminist typography featuring dialogue selected by the Women of Influence Girls Group at Romsey Mill, exhibited all over the city in multiple locations. NEW INFLUENCES: Female Voices was a city wide exhibition March 7th – 20th, curated by Ruthie Collins, showcasing quotes, dialogue and discussions from the project in a book, plus ‘feminist posters’ and portraits placed in venues all over the city. You could also see Bryony Kimmings’ feminist pop star Catherine Bennett, plus rapper Shay D, as part of NEW INFLUENCES at Cambridge WOW, on March 8th.